It's almost time to apply for Maricopa Community Colleges Foundation scholarships! Applications are due March 1. 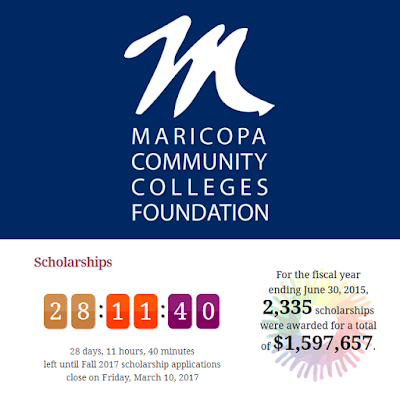 Visit mcccdf.academicworks.com to view opportunities available to you. For tips on how to apply visit this blog post.